Gallery Protocol is pleased to present 'Reflections on Display', an exhibition of new drawings and paintings by Richard Heipp. For almost 40 years Heipp has used painting to examine and untangle the relationship between Art, craftsman-ship, and the conventions of display. 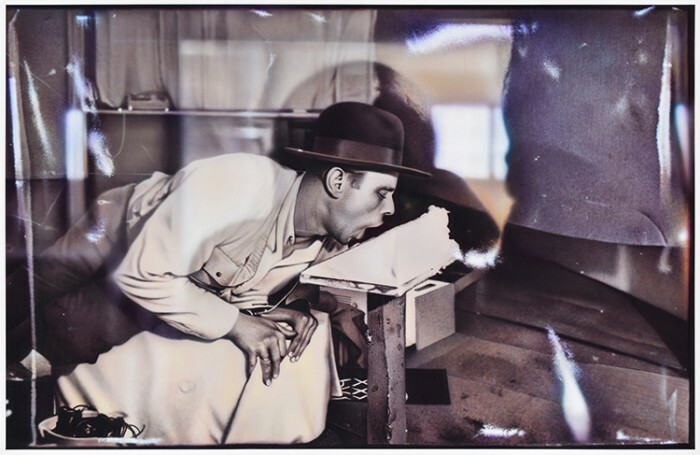 Heipp’s photo-centric works, in which handmade images mime not only the “realism”, but also the anachronisms and materiality of photographic imagery, challenge contemporary habits of image consumption by defying the conditions of speed and indiscriminacy with which images are typically produced. Richard Heipp is a University of Florida Research Foundation Professor of Art. He has taught at UF for 35 years. He is a painter who’s work has been featured in more than 25 solo exhibitions, well over 100 group shows, and whose painting are included in numerous museum collections. Additionally, he has also been commissioned to complete 20 site-specific public art projects. His many awards include an Outstanding Artistic Achievement Award from the Southeastern College Arts Association as well as six, State of Florida Individual Artist Fellowships.